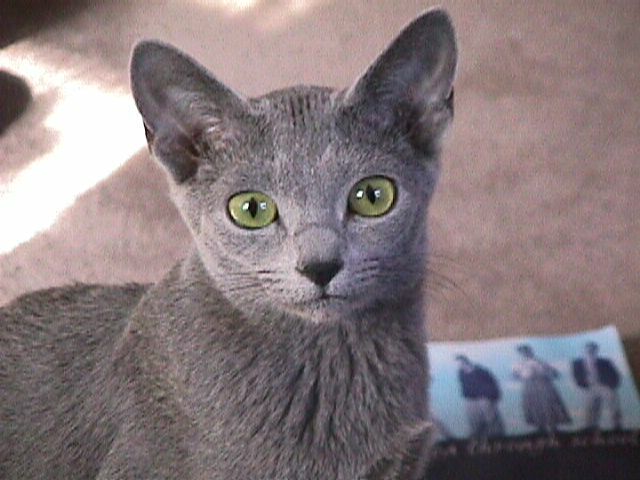 I have one Russian Blue male and one female. 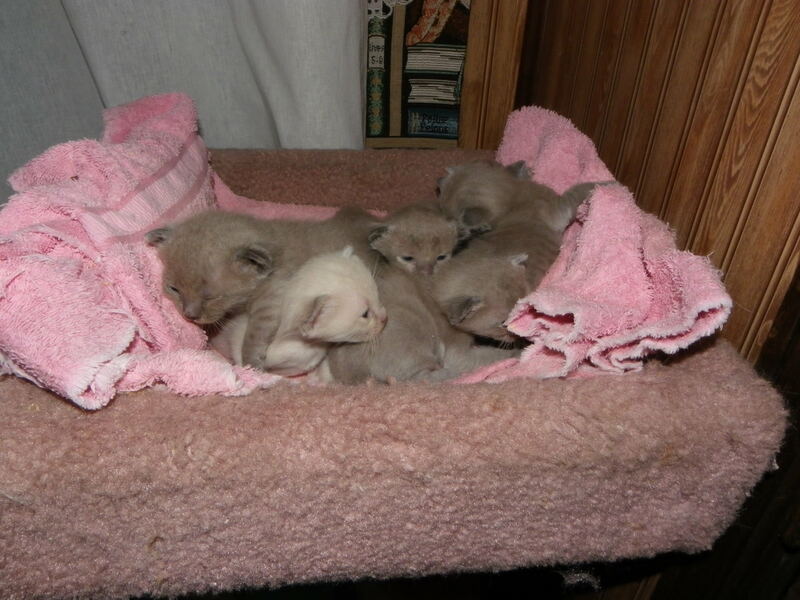 I have two sable Burmese female kittens and one champagne male kitten. Zeta being judged at a show. Zeta who is pictured above being judged, passed away Fall 2016 at the age of 13 years. 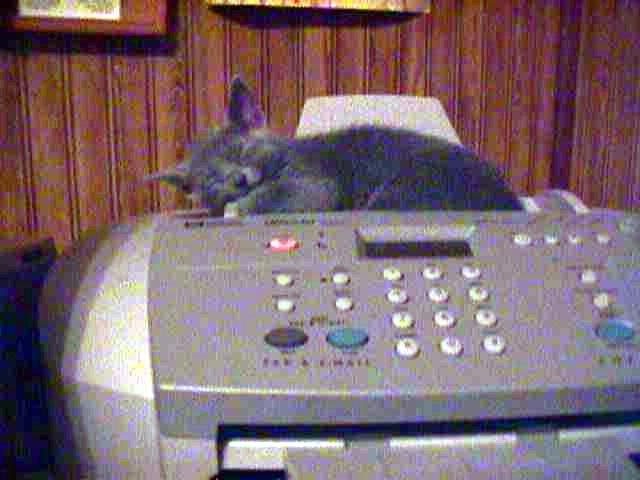 She was our Russian Blue ambassador for our people who came to our home to pick out their kittens. She did not understand why others wanted to look at kittens when they could admire and pet on her. She also adored taking rides in the car. She would ride on the back of the seat, in the windows or the lap. She always got attention when she was in the window and unbelieving people who could not imagine a cat wanting to ride in a car. Zeta also got to serve as a library cat for two weeks in an elementary school library. Numerous kids thronged the library to see Zeta and hold her in their laps. Zeta reached out her paws and her heart to lots of people and touched their hearts. She will be greatly missed by her owners and admirers. Rest in peace Zeta. We have several retired breeders who are looking for a good forever home. Astrid is a 7 years old female who is a sweet girl and needs a good loving home. 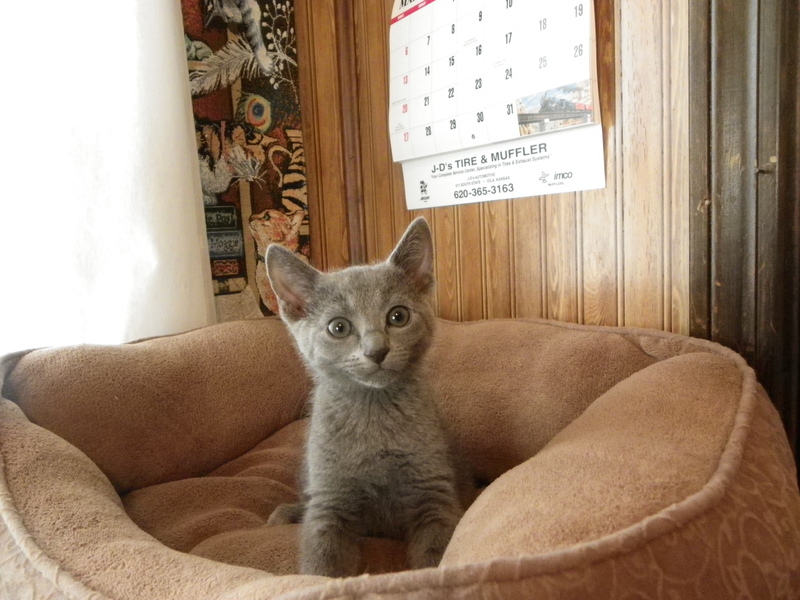 Zephyr is a 3 year old Russian Blue male who must be an only cat. Coin Silver is a 3 year old Russian Blue girl. She is a bit of a diva and should probably be an only cat. 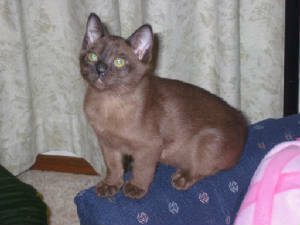 I also have a champagne Burmese female-Torie, who is 8 years old. 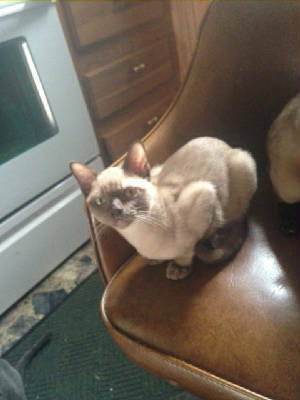 She is a very loving cat and would make a great pet for a home. Please consider adopting a retired breeder. These cats have lots of good years left in them and would make a wonderful companion and pet. We do accept deposits to hold kittens until they are old enough to go to their new homes. Please note that all deposits are non-refundable. 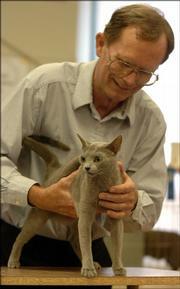 Harold and Jill have been raising the Russian Blue breed since 1995 and the Burmese breed since 1984. 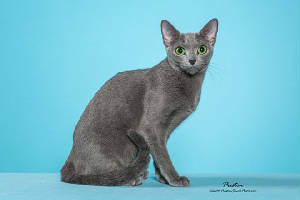 Jill serves as the breed chairperson in ACFA for the Russian Blue breed and also is a member of the Burmese breed section in ACFA. 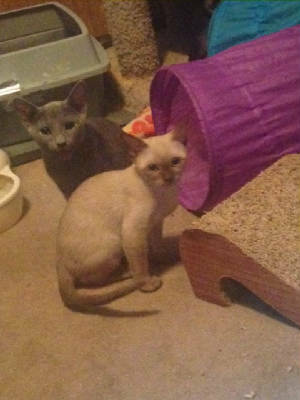 Our cats are a big part of our family and we hope that they become a part of the families that they are adopted in to. Keep checking back for updates on our cats and kittens. Please note that we no longer breed Abyssinians.